Are you constantly in a rush in the morning running about trying to find something? You’re half way to work and found that you left something at home. To remedy this, you could think about placing a console table in the entryway. 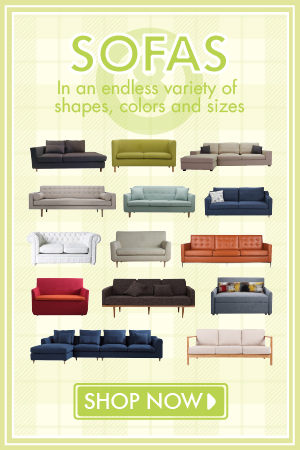 This not only adds style and interest to your space but serves as a functional purpose too. 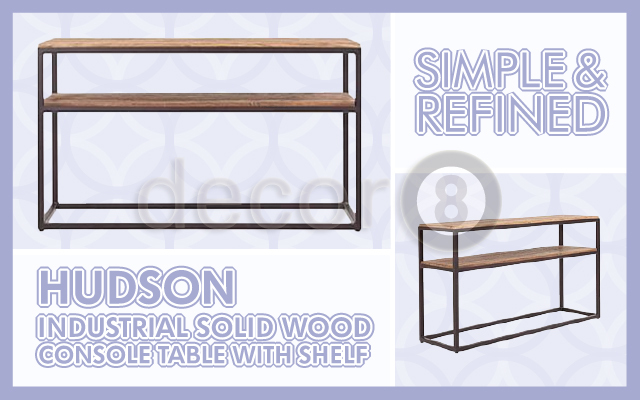 Decor8 Hong Kong furniture would like to introduce the simple and refined Hudson Industrial Solid Wood Console Table with Shelf to you. This console table has two layer surfaces which you can set items on. Perfect for setting down mail, keys, a handbag, and other small items as you walk through the door. You could even set down items that might be important on there so that they won’t be forgotten when you leave. You could even place a mirror above the table so that you can check your appearance as you leave or return from your day out. Placing the Hudson Console Table by the entryway provides a strong focal point and first impression for any guests that may come into your home. One of the best features of the Hudson Console Table is that it is strong and sturdy. The reason for this is the quality of materials used to construct the table. The Hudson Console Table is made from reclaimed solid wood boards with a rustic industrial finish and a wrought iron frame. Aside from the entryway, you could use the console table as an accent piece and place it behind a sofa. Items such as lighting, candles, plants, and a few tall accessories could add height to the area or create a visual division between spaces. Console tables can be quite versatile in terms of placement. The places that were mentioned here are not the only places you can place the table. In fact when styled right console tables can fit into just about any room. 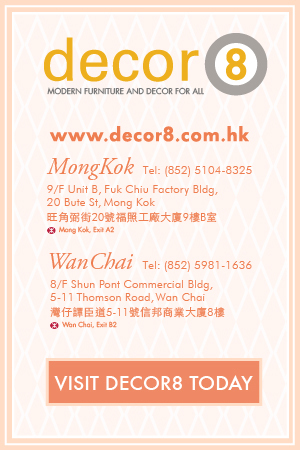 Whilst the Industrial look may not be for everyone, Decor8 Hong Kong furniture offers other styles that may suit your preference. This entry was posted in Console Storage Units and Side Cabinets and tagged console design, console table hong kong, console tables, industrial design hong kong, industrial style console, iron frame, modern design, small space, solid wood table. Thanks! 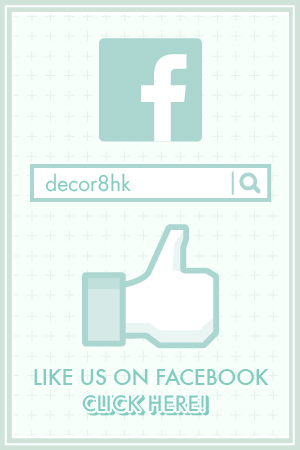 We’ll aim to bring you more interesting reads in the near future. I cannot express how the information in this article has made me rethink many things. Reading this content greatly influenced my opinions. Your explanation of this topic is unmatched and is very well-written. Thank you.